Researchers from Duke University, Penn State University and Intel Labs developed a piece of software called TaintDroid, which has been able to detect and report when applications transmit private information to remote servers. Of the 30 applications tested with TaintDroid, 15 were found to be sending private information to advertising servers without informing users. That information included a phone’s SIM card number, GPS location and phone number. 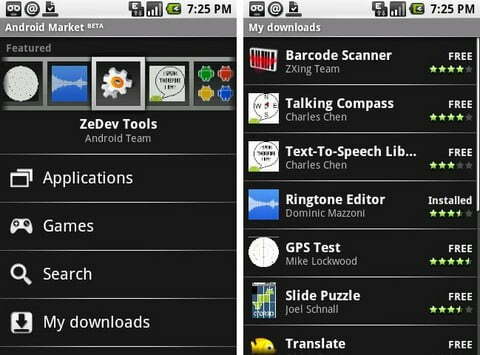 And these weren’t just any Android applications. Researchers used the thirty most popular applications across 22 categories which required Internet permission, along with permission to access location, camera, or audio data. Users put their faith in application developers and the fact is that, “Android’s coarse grained access control provides insufficient protection against third-party applications seeking to collect sensitive data,” wrote the researchers involved in this study. This doesn’t leave users with many options. Sure, you can try to put faith in application developers, but the fact is that until stricter security standards are put in place, many Android applications may continue sharing your data.